I’m about to finish a graduate degree in Christian theology, the MDiv. Having a background as a high school history teacher leaves me with some particular reflections on the journey. 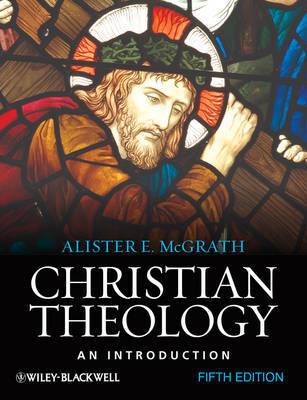 When it comes to theology classes, the textbook I’ve been recommending is Alister McGrath’s Christian Theology: An Introduction (see prices). Here’s why, from an educational perspective — plus an excursion for evangelicals! First, McGrath’s Christian Theology is basic without being narrow or simplistic. It’s accessible to all sorts of students and it’s used around the world, including teenagers in high schools. No Arts degrees required! Second, the book has an international scope. It assumes that there is more going on in Christianity than simply the Western world or X, Y, and Z church denominations. It deliberately refuses to confine itself to one neck of the woods. Third, this is a fully-fledged academic textbook, currently in its fifth edition. Its method is expertly designed for the classroom: it is an introduction, a comprehensive background, a balanced survey of the issues. It considers the concept and practise of theology as well as its content. McGrath’s book is descriptive rather than prescriptive; it explains rather than persuades. McGrath himself is an evangelical Christian, but he doesn’t take denominational sides, never pontificates, and ensures that his own opinions take a back seat — because Christian theology is bigger than that! All of this is essential in helping students build a theological toolbox instead of pat answers. It equips students to be global learners, to think for themselves, to interact constructively with other perspectives. It teaches systematic thinking without teaching one system. I’m also an evangelical Christian, so I reckon it’s worth comparing McGrath’s approach with another popular book that evangelicals use to teach theology: Wayne Grudem’s Systematic Theology: An Introduction to Biblical Doctrine. These two books come at things from different angles, so they emphasise different things and promote different uses, both for teachers and students. Grudem approaches theological study as a matter of plain Bible reading, present-day obedience and devotional truth. I’m happy to say these are good and right aims, as far as ultimates go — but as an academic approach, where does this take us? As a whole, Grudem’s book is a summary of a specific expression of Protestant Christianity. As such, you could say it’s more about what to think than how to think. This makes it potentially useful as a doctrinal handbook, but probably inappropriate as an academic textbook. By all means, we evangelicals should be encouraging each other to be better evangelicals. But does this mean we need only listen to evangelical voices? In Christian Theology, McGrath’s approach majors on history. The book deliberately interacts with the whole sweep of Christian theological reflection. That’s also why its companion reader is so useful (see prices). Not surprisingly, evangelical positions are not always on view in the book. The same goes for typical evangelical methods: there’s not always a great deal of ‘Bible’ in play. Yet I don’t see this as a loss by any means, because the book serves as a launch pad and backdrop for classroom content. Precisely because it introduces and opens up theological issues, the book sets the scene for a more detailed biblical perspective in the classroom, should a teacher prefer this. In other words, McGrath has not written an “evangelical textbook”, but that’s precisely why evangelicals should be eager to use it. It’s the sort of resource that helps us evangelicals to see our distinct place in the Great Tradition of Christian thought. By mapping out the big stream of Christian reflection, we can better navigate where we ourselves belong. And that’s a robust and far-reaching means of pursuing evangelical faith! Hey Arthur, I appreciate your reflections here. I’ve been teaching a doctrine course at diploma level over the past few months and went through the process of assessing different text books. I largely agree with your assessments of McGrath and Grudem, although in practice, Grudem was much more helpful for the students in my course. The layout of his chapters and his deliberate confessionalism and piety struck a chord with people. I think this has been largely undervalued by evangelical academics (it certainly was by me until I saw the students respond). The other thing I noticed is that McGrath’s ‘descriptive’ approach actually made it harder for students to develop a sense of constructive theological method. I ended up using a combination of McGrath, Grudem, and Michael Horton’s new systematic, ‘The Christian Faith’. I found that McGrath was brilliant for history/survey; Grudem best for his teaching method and modelling biblical engagement; and Horton brilliant for a profound Reformed attempt to do contemporary constructive theology. I think that some version of this combined approach is the only way to avoid the deficiencies of any particular book. You run into a problem however, when the students want to know which book to buy… I think most ended up with Grudem. Thanks for weighing in, Dan — and as someone who’s had the chance to try this out with a class! Yeah, I reckon it’s inevitably a matter of mix ‘n’ match. I’ve endorsed McGrath here because of the way it serves as a starting place, and that’s why I’d back it as the book to buy: it’s a broad, accessible background and a launch pad for class content. It won’t finish the painting but it nails down the frame. Biblical focus and constructive method can follow — and I figure that the classroom is the primary place for modelling these. For theology students, I reckon Grudem is at best a halfway house and sounding board. It might appear to be a useful starting place, yet it presents itself as a finishing point, and I don’t think it’s great in either sense. I say this more or less because I don’t trust Grudem’s hermeneutics — I think he jumps the gun methodologically. But the devotional side of it is great! And part of why I’ve drawn this contrast between McGrath and Grudem is because I’m after tools that deliberately cast an eye to contexts outside our own (like East Africa, where I’m headed). I’ve heard another recommendation of Horton too — it sounds good. Do you have any other thoughts — perhaps on other popular texts like Migliore or Erickson? I’m just writing a new post on a similar topic. On the business of how to actually go about choosing a theology textbook, this post by Steve Holmes is excellent.